We are going to get some rain, but not from Hurricane Joaquin. Weather blog: What does Ana mean to the D.C. area? The temperatures will top out at the mid-40s for Thanksgiving day. How much are you enjoying this taste of spring in November? Or would you rather keep your winter jackets on with cold air over us? Don\’t fret, the weather should warm up a little next week. 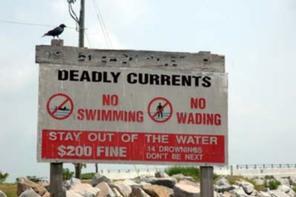 for rip currents is being forecast. After we burn off some patchy fog in the morning, a cold front will slip through the region on Wednesday and clear the area by late evening. If you love this summer time heat, don\’t get used to it quite yet. Seasonable May weather will eventually make its return next week. 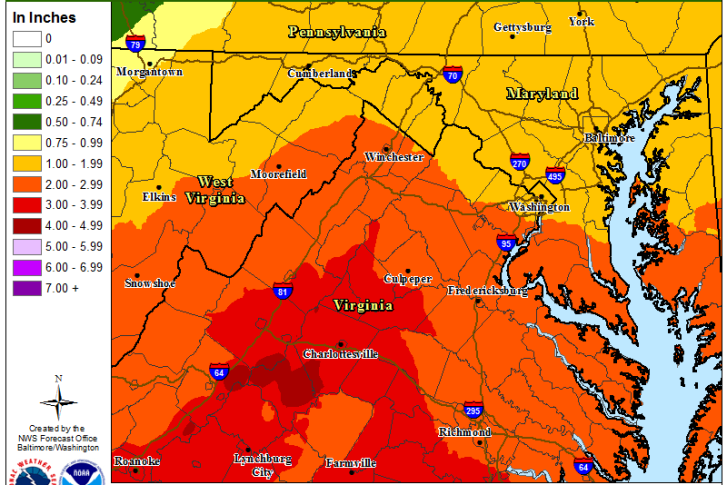 The D.C. area is no stranger to intense, heavy rain. So how does Wednesday\’s rain and flooding compare to tropical storms, which are common events in the summer and early fall?